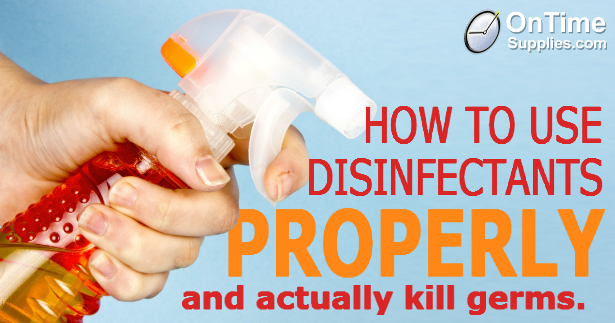 Think disinfectant sprays actually kill germs? Read this. 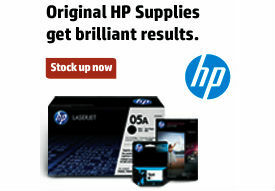 | Office Ink Blog. Think disinfectant sprays actually kill germs? Read this. Today’s powerful disinfectant spray cleaners do a good job of killing germs, but only if you use them properly. Which most of us don’t. If you’re anything like me, you give your desk, counters and other surfaces a quick mist of sanitizing solution and wipe. Turns out that method doesn’t actually accomplish anything. Read on to find out how to actually kill germs on surfaces. 1. Clean the surface first. You need to get rid of dirt and debris to completely expose the surface to the the spray. After all, you are trying to kill germs on the surface, not in the dirt. So clean any heavy soil before you use your sanitizing solution. 2. Really drench the surface with the sanitizing solution. This tip applies to hand sanitizers as well. You need to make sure the surface is completely wet and covered for the sanitizing solution to do its job. Bathroom fixtures are nowhere on the list. Five of the top six are in the break room. Right where you eat! We show you how to clean your whole office in minutes. 3. Let it sit for a while. Even the most powerful disinfectants need a little time to work. How long? Well that depends on what you’re trying to do. 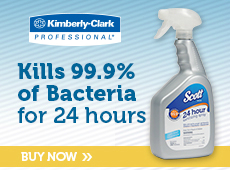 Controlling bacteria takes less time to accomplish than getting the 99.9% killing power most disinfectants advertize. The longer you allow the sanitizing solution to remain in contact with the surface, the more germs you’ll kill. To kill 99.9% of germs and fungi on non-porous surfaces, let the disinfectant sit for 6 minutes. To sanitize / control bacteria, let the solution set for 15 seconds. 4. Wipe up the sanitizing solution. Once you’ve allowed enought time to elapse for the sanitizing solution to work its mojo, wipe the surface dry. You don’t have to do any rinsing. In fact, soap and water will completely remove sanitizers. Always clean first, then disinfect. Hold a 2 lb. Weight in each hand roll it in your open hand toward fingers and back to palm. Use as a pencil to exercise fingers and strengthen muscles. Thanks, Norma. It&apos;s so important to stretch and strengthen the wrists and hands if you type all day and do other office tasks! Depends on what you&apos;re using it for. But yes, Lysol can be very effective! Make sure to read the label of the particular Lysol product you have though since the brand has various products.